All terrain wheelchair - The countryside at your doorstep! All terrain wheelchair – The countryside at your doorstep! Are you an energetic lifestyle person with a mobility disability? Are you searching information about all terrain wheelchairs? Read on as this might interest you! Although, it’s possible to move from one place to another using a wheelchair, most of the wheelchairs don’t allow outings with friends and family, such as a walk in the forest or at the beach. Outdoor use for most wheelchairs extends only to paved roads or other urban environments. But you want nothing to limit you when it comes to visiting countryside, natural parks and other retreats which are often associated with picnics, adventure and nature. Many of these places rarely have wheelchair support infrastructure and accessing these most of the times can therefore become challenging. Fear not, because you may find a solution to this by using an all terrain wheelchair! All terrain wheelchairs can help you overcome many obstacles and limitations, as these wheelchairs are specifically designed for extreme outdoor use, i.e they can be used on sandy, dusty, snowy, rocky or almost any kind of surface. 2 It’s time to go places you could never imagine! 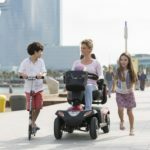 All terrain wheelchairs come in many sizes and shapes and there are a number of types of wheelchairs designed for particular uses. You may find below list of wheelchair types with respect to their use. 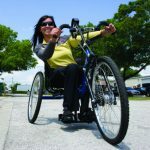 As the name suggests, sports wheelchairs are designed for athletes to maximize their performance and fully enjoy their favorite sport or recreational activity. These wheelchairs can be customized for tennis, hockey, racing, rugby, basketball, football, trail riding and numerous other popular sports. These wheelchairs are normally made of lightweight material such as Titanium or Aluminium, in order to keep the weight of the wheelchair low. They are designed to be tough, stable, responsive and highly maneuverable. Off-Road wheelchairs (this type is actually an All Terrain Wheelchair!) 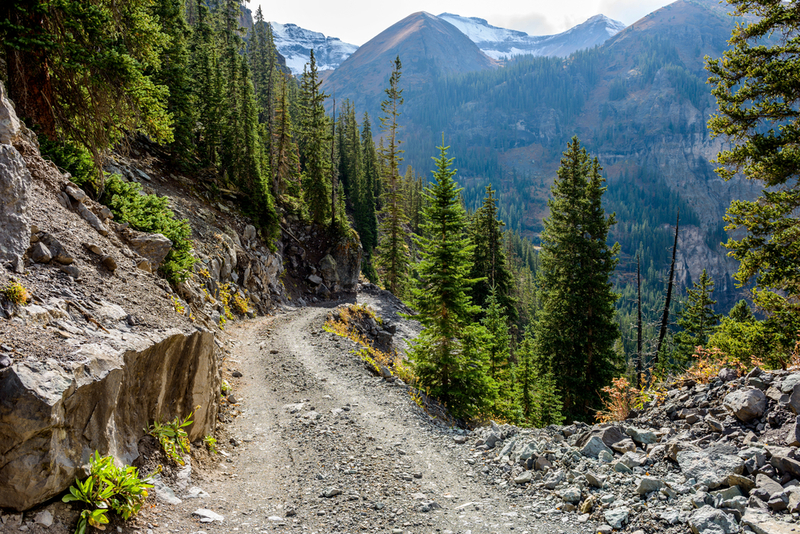 are designed so that a user can traverse through rough terrain such as soft dirt and sandy surfaces, gravel paths, and natural trails. These can also be used for travelling over small hills. Like other wheelchairs these may be manual or electrically powered and are specially designed to allow a user greater freedom of movement without any assistance. These are specially adapted wheelchairs developed for moving over sandy surfaces such as natural and artificial beaches. 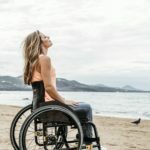 In principle, beach wheelchairs are similar to other wheelchairs, the main difference being their balloon type wheels which allow them to traverse over any type of sandy surface without the wheels sinking into the sand. They are also fully waterproof because they allow the user to be submerged into the water and wheeled out of it. It’s time to go places you could never imagine! With such a wide variety of wheelchairs available a person with mobility challenges can easily change his life by choosing a wheelchair suitable for his outdoor activities (outdoor sports and recreational activities). Pick one that suits your needs best, or be generous to yourself and pick one for each activity! An all terrain wheelchair will allow you to live your fantasies and go to places which you couldn’t even imagine with your normal wheelchair. 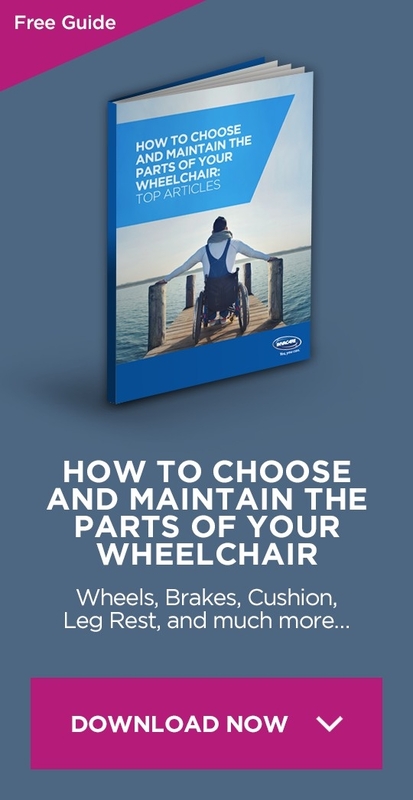 You may find this resource helpful in selecting a suitable all terrain wheelchair. An all terrain wheelchair will allow you to break the shackles of disability and go on that adventure which you’ve been waiting for so long!